A great career opportunity for foreigners in the Czech Republic. 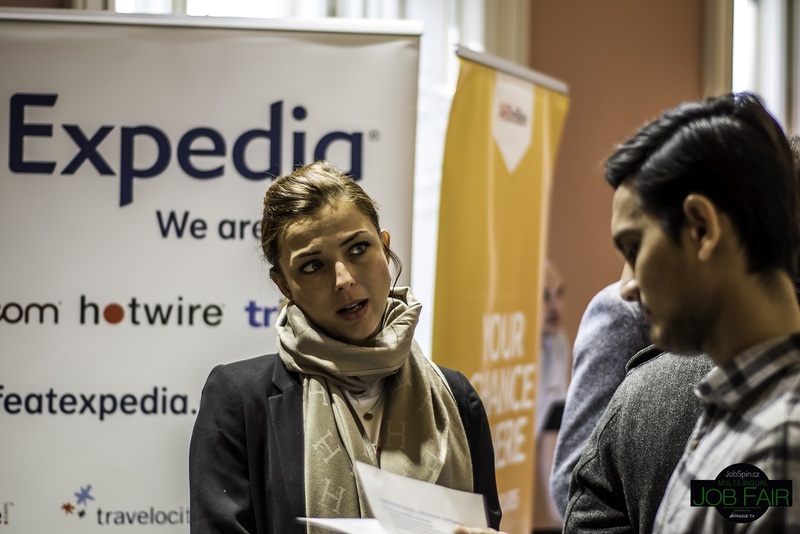 Title photo: Expedia at JobSpin Job Fair Powered by Prague.TV, March 3, 2018. Prague, Mar 22 (JobSpin) – On Saturday, March 17, 2018, JobSpin Job Fair Brno took place at the Faculty of Social Studies, only two weeks after JobSpin Job Fair Prague at the Anglo-American University in Prague (March 3, 2018). Large numbers of people, mainly foreigners living in Brno and Prague, attended the events. 483 participants at Job Fair of Prague and 400+ at Job Fair of Brno came wanting to start their new careers in the Czech Republic! 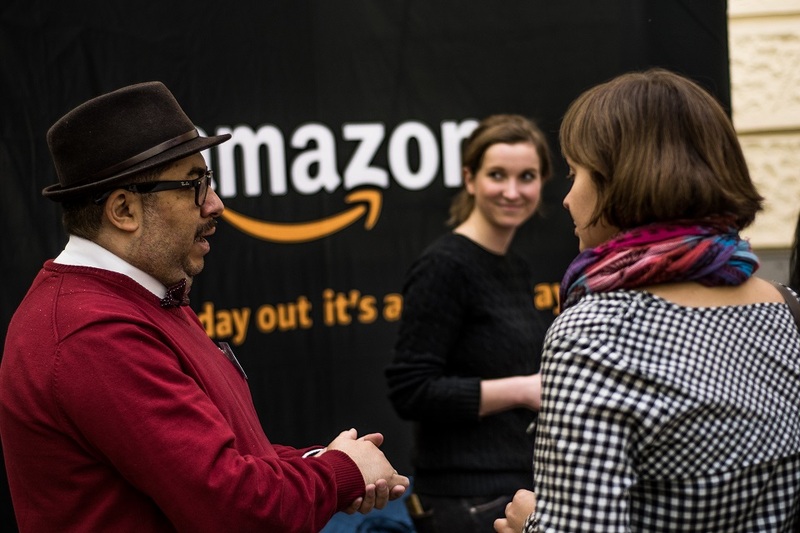 Amazon at JobSpin Job Fair Powered by Brno Daily, March 17, 2018. They had the chance to talk with teams from numerous internationally minded employers such as AB InBev, Accenture, Expedia, CDK Global, Honeywell, Amazon, Zebra, KBC, AT&T, Gardner Denver, SAP, Utilitywise and many others (list Prague, list Brno). 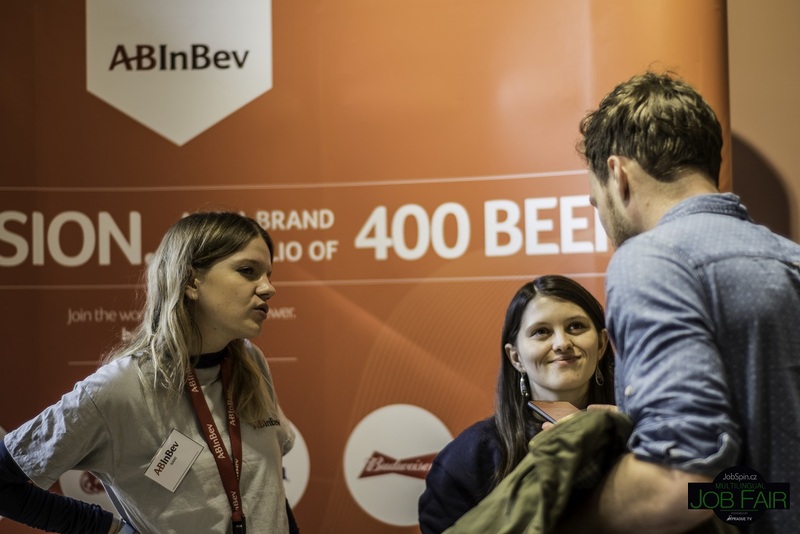 AB InBev at JobSpin Job Fair Powered by Prague.TV, March 3, 2018. Many visitors took advantage of free consultations and got tips on perfecting their CVs from the teams of Grafton Recruitment in both cities. At both job fairs, locally-based international employers made for unique, “must-attend” events. 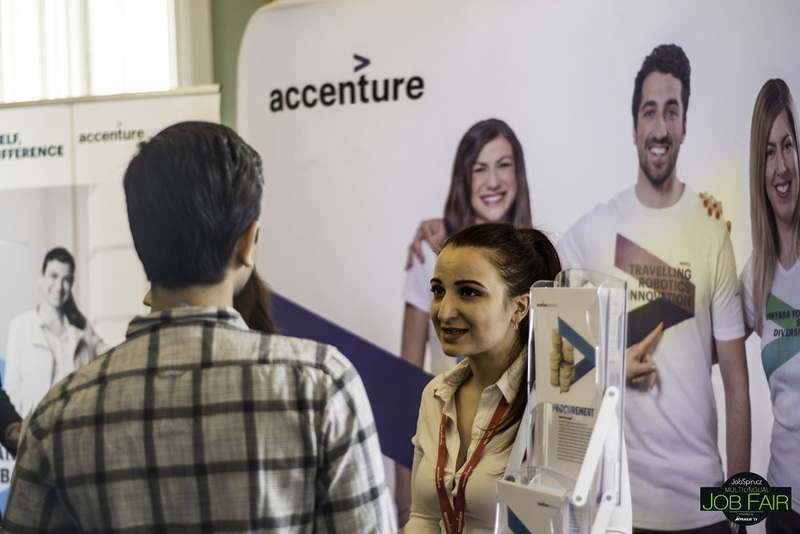 Accenture at JobSpin Job Fair Powered by Prague.TV, March 3, 2018. Meeting recruiters was not the only thing one could do at the Job Fairs. The whole day-long program, open to the entire public, made the fairs even more interesting and useful. Candidates were able to choose the presentations they wanted to attend, as registration provided them with a program with the descriptions of each presentation. Attendance was free of charge, a special offer for the job fairs’ attendees. People travelled to attend these events not only from within Prague and Brno, but from far longer distances as well. “I think that this event in Prague is very important for expats looking for help. Relocating is not always easy, so a friendly approach from agencies is very welcome and much appreciated by my friends from Mexico and India today. THANK YOU,” Lenka Mullerova, one of the visitors to JobSpin Job Fair in Prague wrote in her review. 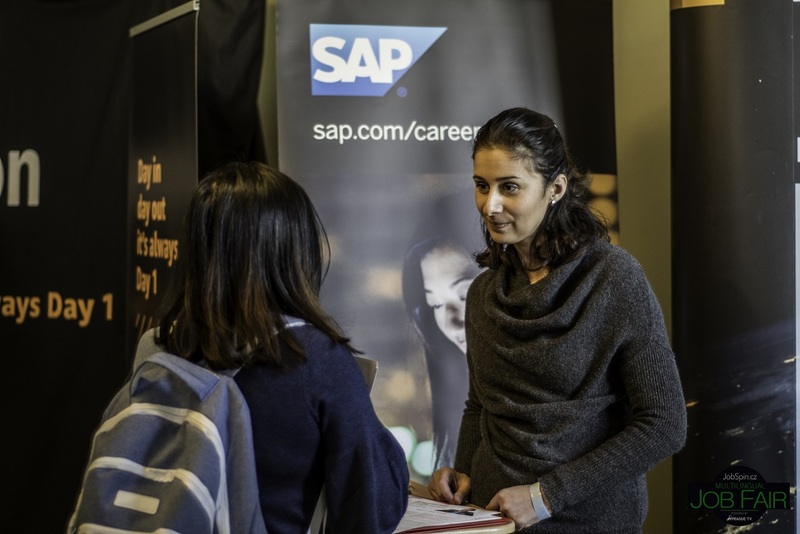 SAP at JobSpin Job Fair Powered by Prague.TV, March 3, 2018. “It was very informative and full of possibilities. It would be useful, also, to do it in the summer before everything is planned for the year. Thank you for this opportunity and for thinking about expats!”, Laura Lopez said at JobSpin Job Fair Prague. Tabella at JobSpin Job Fair Powered by Prague.TV, March 3, 2018. Many left with a good impression, new networks, knowledge and hope for the future. “I had a good time here. All the presentation were so good.” Nicola Adina said of JobSpin Job Fair Brno. Interested? Come to the next JobSpin Job Fair this October! 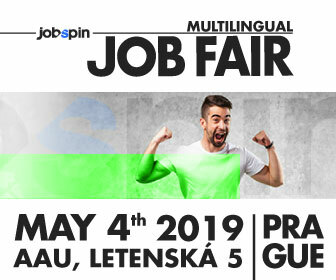 Click here for more information about JobSpin Job Fair Powered by Brno Daily on October 6, 2018, in Brno.  Click here for more information about JobSpin Job Fair Powered by Prague.TV on October 20, 2018, in Prague.